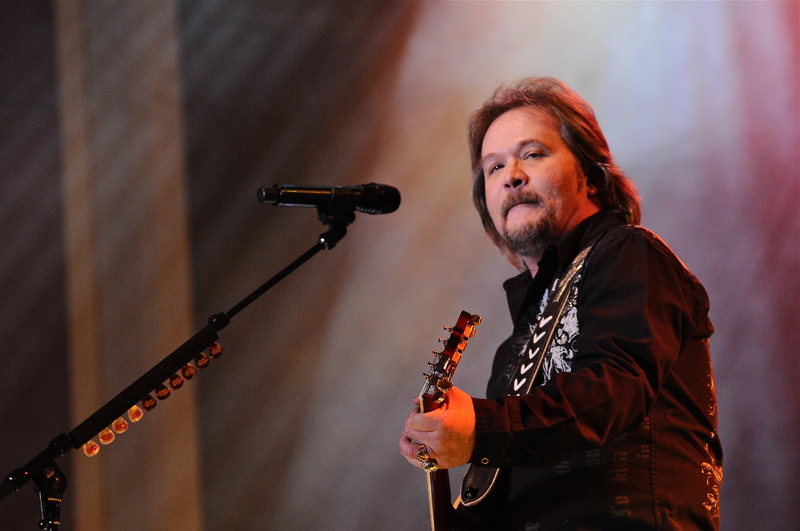 Like many of the biggest country stars of the 1990’s, Travis Tritt doesn’t get much radio airplay these days. However, he still plays sold-out shows like the one last Saturday at Seneca Allegany Casino. A mix of country and classic rock tunes played as the crowd filed in. As showtime neared, an announcement informed fans about the merchandise available, including Tritt’s newest CD The Calm After. This was followed soon after by a recorded introduction from Larry the Cable Guy. Tritt arrived onstage dressed in black as is his trademark. He and the band (including lead guitarist Wendell Cox who has been with him since 1987) tore into “Put Some Drive in Your Country” from his debut album Country Club. This was a perfect opener as Tritt describes how he grew up on classic country like George Jones and Roy Acuff. He later discovered rock and roll and decided to mix Southern rock and country. 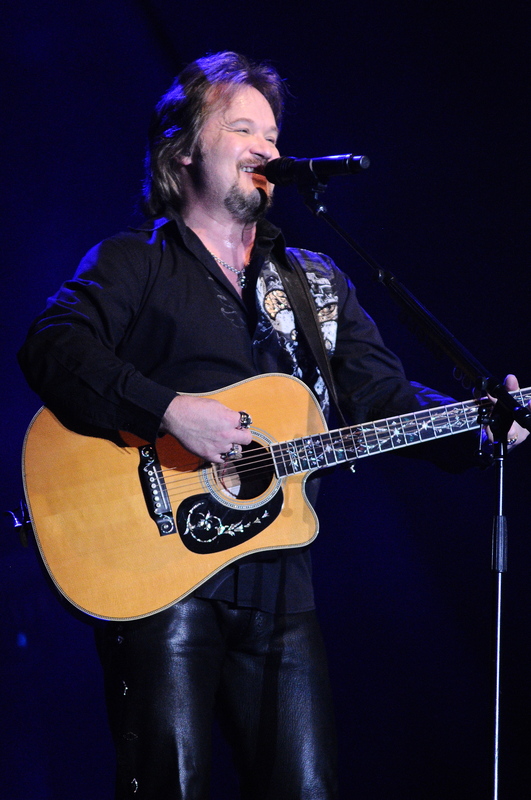 There is more to the Travis Tritt sound though. He is also an excellent soul singer. It was a nice surprise to hear the Sam & Dave classic “ When Something is Wrong with My Baby”. He recorded this with Patti LaBelle for the 1994 album Rhythm Country & Blues which paired country and soul/R&B artists. Tritt was in fine voice throughout the night, but this was the vocal highlight. While there some songs from the aforementioned newest album (High Time for Getting Down, Rub off On Me), the night was about the impressive list of hits. 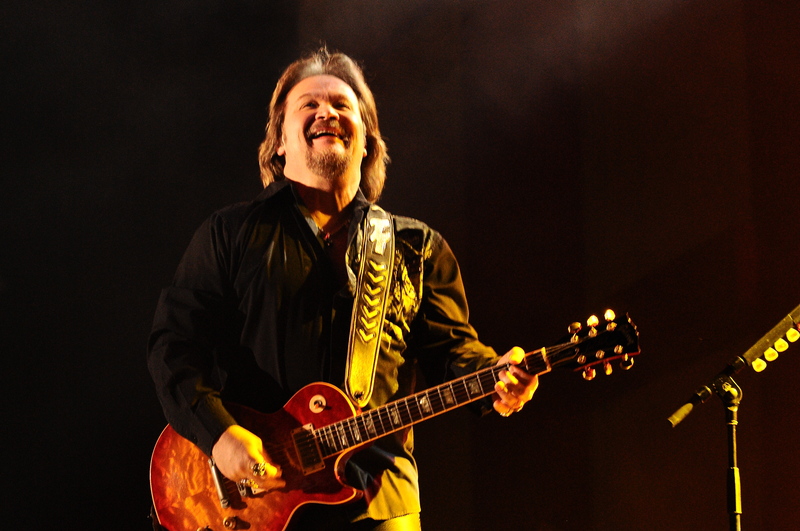 Included with staples like “Anymore”, “Here’s A Quarter” and “Country Club” was “Tell Me I Was Dreaming”, which Tritt said he hadn’t played live with the full band in years. He also played an acoustic mini-set which included an instrumental that showed he is also a first-rate guitarist. Tritt donned a black cowboy hat for the four song encore which included Allman Brothers and Waylon Jennings covers. “Homesick”, from his stellar 1991 album It’s All About to Change, closed the show. It was another song I didn’t expect to hear. This was a satisfying show. Tritt said we can expect new music soon. 25 years after his debut, he showed he can still deliver what his loyal fans have come to expect.